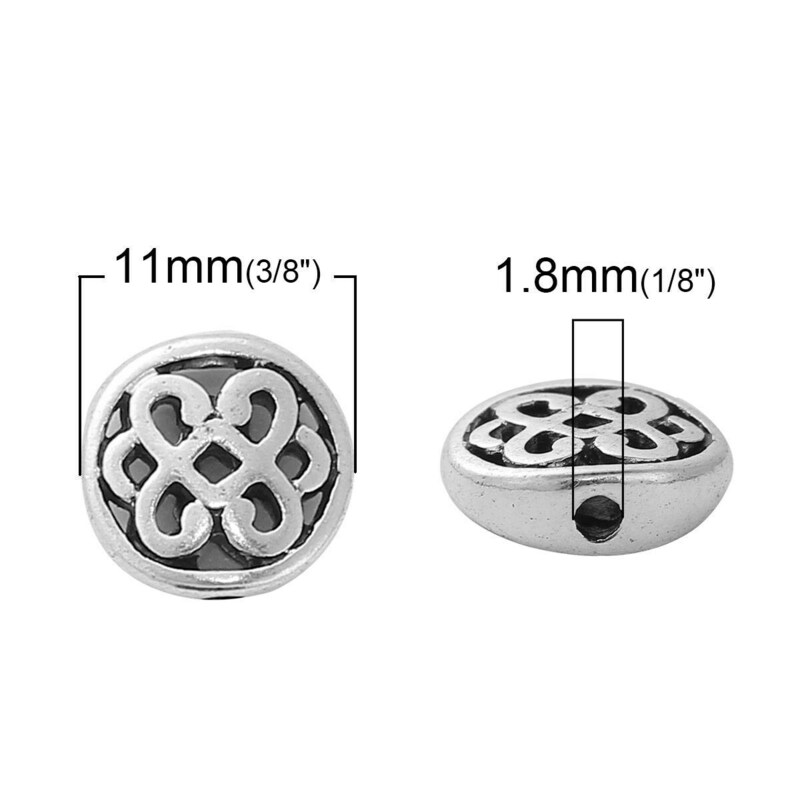 Celtic Knot patterned antique silver tone filigree oval bead. You will receive 10 beads. The Triskele (three-legged emblem) may represent the cycles of life - Land, Sea and Sky. In Celtic folklore each knot has a specific meaning. For many, Celtic Knots represent Eternity -- the Eternity of Life, the Eternity of Nature, and the Eternity of Love, Never-ending. 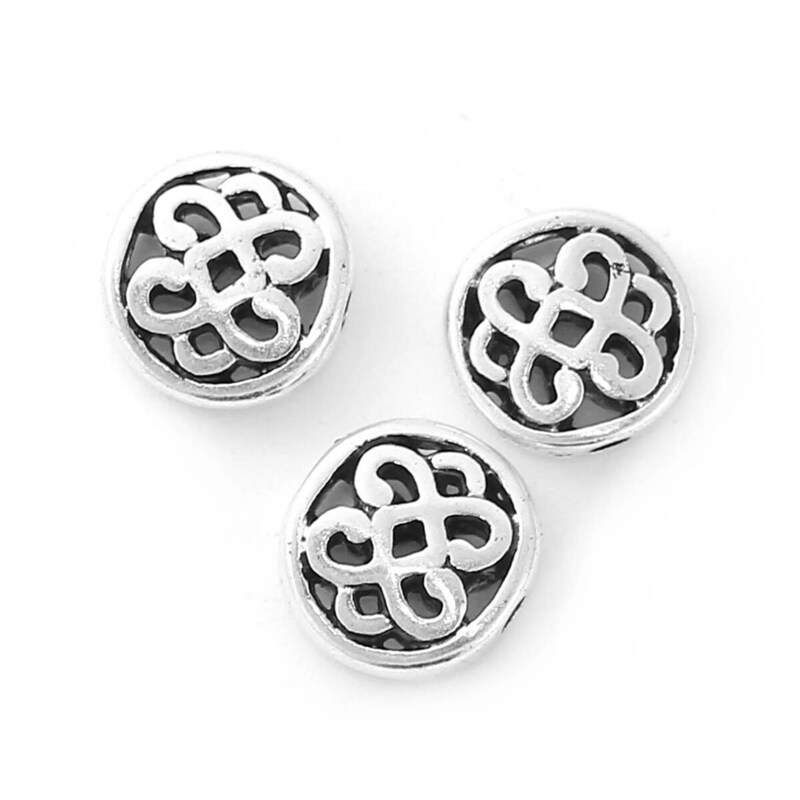 These are also known as a "trinity knot", the design is used as a religious symbol adapted from ancient Celtic images by Christianity. Modern Pagans use the triquetra to symbolize a variety of concepts and mythological figures.